Don’t wait until you’ve got it all together! What would you do if someone barged into your house and attempted to set herself on fire with your stove? That actually happened in Toronto this past week, immediately following a multi-car collision. Of course, the homeowner did her level best to stop the crazed woman, and called emergency services. But once you got over the shock of such a bizarre home invasion, what would you do? None of us, unless we’re trained for such things, is ever ready to deal with such mental instability in another human being. And while it’s not usually made manifest in such a peculiar way, people with emotional struggles are all around us. Some just do a better job of masking it than do others. We have no idea, at this stage, what caused the woman in that strange story to do what she did. But we know she needed help. Why do you suppose she made this frail attempt on her person rather than seek assistance? One might be tempted to engage in a tirade against “the system” – especially with a provincial election coming up in less than a week. But instead, I want us to think about why people in general don’t seek the help they need. A thought: too often, people think they have to have all their ‘stuff’ together before they can seek help. Some think they need to seem ‘normal’ before being treated for mental illness. Some think they need their marriage to seem ‘fixed’ before they seek counselling. Some think they need to ‘have it all together’ before they come to church, to seek community with God’s people. In most cases, these beliefs are all tacitly affirmed by society and by the church. None of them, of course, is true. We should never have to have all our stuff worked out before we seek professional help, whether it’s for our emotions or our marriages or our faith life or anything else. When you gather in your faith community this weekend, scan the congregation, and look for guests. Encourage them for being there; walking across the threshold of the church for the first time is not easy! And when you invite your friends, make sure they know that they are welcome in whatever they wear, and with whatever baggage they carry. After all, what the Pharisees meant as an insult, Jesus took as a compliment. “While Jesus was having dinner at Matthew’s house, many tax collectors and ‘sinners’ came and ate with him and his disciples. When the Pharisees saw this, they asked his disciples, ‘Why does your teacher eat with tax collectors and ‘sinners’?’ On hearing this, Jesus said, ‘It is not the healthy who need a doctor, but the sick. But go and learn what this means: ‘I desire mercy, not sacrifice.’ For I have not come to call the righteous, but sinners’” (Matthew 9.10-12, NIV). Let’s be open to helping those in need, and not wait until they’ve got it all together. Jesus did! So we’re starting a series on parenting at St. Paul’s, and this message kicks it off. Parents are always seeking to help their kids to be less dependent on them, but to what end? We often think we should help our kids become independent, but that only works to a certain point. Ideally, we want our kids to be fully dependent on God. That’s the priority of every parent. So what works for you, as you seek to help your kids become less dependent on you and more dependent on God? I’d love to read your comments. I have a riddle for you: what four-letter word actually has six letters, and when you talk about it, people get uncomfortable? Now, when we talk about change as the coins that make a tinkling sound in your pocket, that’s change most anybody can believe in. And at times like this – Ontario is in a provincial election campaign – we hear lots about change, some of which is appealing. But most of us, when it comes to the implementation of change, tend to want no part of it. Change is hard. This was clearly illustrated for me this week on the Internet’s premier social networking site, Facebook. In the middle of the week, Facebook made some formatting changes to what the participant sees upon logging on. It has made changes before, but these changes seem to be the most obvious – and are drawing the most criticism and the greatest resistance. It’s the human way, isn’t it? We like equilibrium. We like things to be consistent and constant. But if we always got what we wanted, innovation would never be encouraged. We’d still be cooking over open fires, sending messages with quill pens on birch bark via carrier pigeon, singing Psalms in Hebrew. And there would be no Facebook about which to complain! Change is a reality in our world – a necessary reality. We know this. If we’re honest with ourselves, we don’t mind change, provided it does not affect us personally. It’s no different in the church than in the world. In fact, in my experience, if anything, it may be worse in the church than in the world. Some folks think that because the Gospel doesn’t change, our means of expressing and communicating it doesn’t need to change, either. But it does, and it has, throughout the generations. Change in the church is almost always motivated by a desire to reach people, who have not been reached by previous methods, with the good news of Jesus. The motive is right. Some get concerned with the speed of change, but it doesn’t matter if change happens quickly or slowly: some will be frustrated by its pace. If the church had never been open to change, however, the Gospel could never have reached the whole world. If God were not interested in change, redirecting the hearts of people, Paul might never have been converted, and the Gentiles might never have been reached. God is very interested in change: first, the changing of hearts toward himself, made known in Jesus Christ; and then, changing those believers from within, to give them hearts that yearn to see others come to know the Lord. John Henry Cardinal Newman, a profound Christian whose writings you should read, once said, “To live is to change, and to be perfect is to have changed often.” Indeed. So whether it’s something as frankly insignificant as Facebook, or something as expensive as municipal sewers, or something as life-altering as turning from sin to follow Jesus, understand that change is integral to life. It may be hard, but as we walk with the Lord, we trust that it is for our good. Embrace it. Make the best of it. Welcome it. Jesus said, “I tell you the truth, unless you change and become like little children, you will never enter the kingdom of heaven” (Matthew 18.3, NIV). Let’s hear it for the kids! Have you ever noticed how well they adapt to change? We have lots to learn. This weekend at St. Paul’s, Nobleton, it’s Bring a Friend Day! I hope you can join us, and bring a friend with you! God’s best for your weekend. 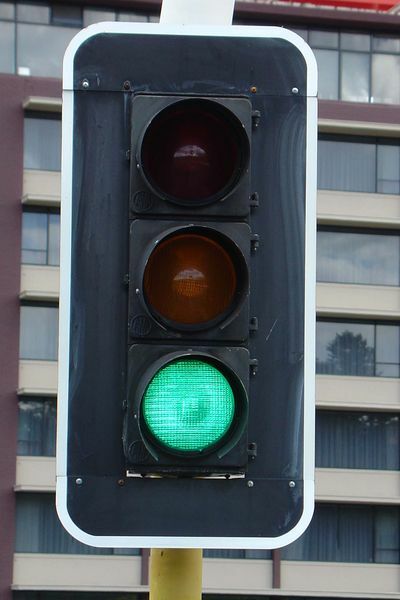 Green doesn’t always mean ‘go’. Sometimes, it’s got to do with our ‘green with envy’ attitude toward other people’s stuff. The tenth commandment says, “You mus not covet your neighbour’s house. You must not covet your neighbour’s wife, male or female servant, ox or donkey, or anything else that belongs to your neighbour” (Exodus 20.17, NLT). What’s the antidote to coveting? Take a listen to the message (here) to find out. It’s based on Luke 12.13-21. Next Sunday is “Bring A Friend” Day…Will you be at St. Paul’s, Nobleton? If you go to our Facebook page, you’ll find a video that you can watch and/or download (using Real Player) to share with your friends that should encourage them. One of the somewhat paradoxical things about the Christian faith is that in its ‘fundamental’ or ‘radical’ sense – and I use those terms literally, to mean ‘basic’ or ‘foundational’ – it allows for disagreement. The spirit of the gospel of Christ is that Christians accept that not everybody is going to accept the good news. This, over time, formed the foundation for democracy and free speech in the world. It is sadly ironic, then, that sometimes, believers can gain notoriety for suppressing free speech. An example of this occurred this week when Tyndale University College & Seminary, the school at which I have been both student and teacher, announced that a friend of the institution was hosting an invitation-only breakfast event to raise the profile of the school. What was newsworthy about this? 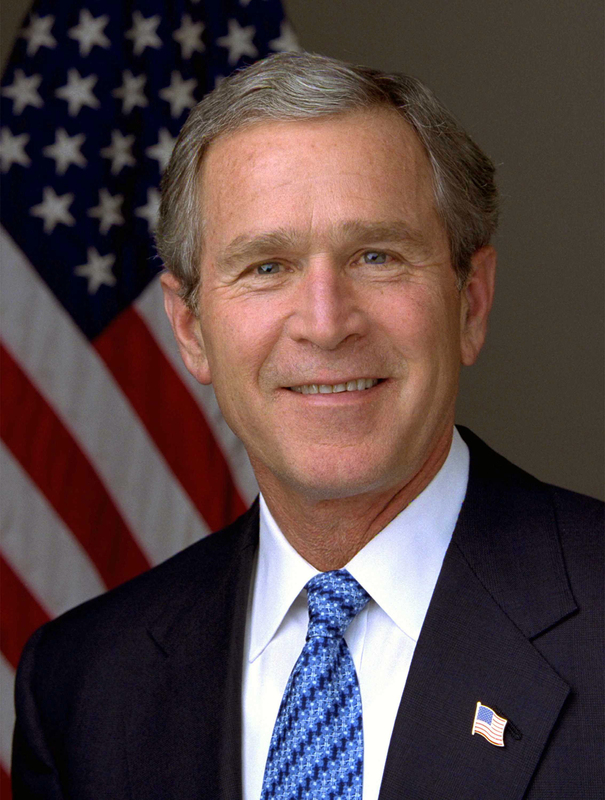 The speaker was to be George W. Bush, the forty-third President of the United States. News reports uncovered that a number of students and alumni, and even some faculty, had raised a petition to have the event cancelled, because they disagreed with what Bush stood for as U.S. President and didn’t want him associated with Tyndale. Sadly, the event was cancelled. No official word has connected the cancellation to the brouhaha that came about when the speaker was announced, but many people have surmised that the school was responding to the outcry. The Christian faith, at its core, is about defending rights, because people – all people – matter to God…even those with whom we may disagree. Free speech is all too easily suppressed in our world today. Often, it’s about secular society suppressing Christian free speech. It’s particularly sad when Christians go about seeking to suppress free speech. None of God’s representatives in the Bible, from the prophets to the apostles to Jesus himself, sought to arm-twist anyone into the kingdom. We have no record of any of them disrespecting those who chose to believe differently. Sadly, the record of the church has not been stellar in this regard throughout church history, but the goal of faithful disciples of Jesus should be to be tolerant, in the original sense of the term: to allow people the freedom to be wrong. There are differences of opinion and interpretation as to what Scripture says about such things as war and social policy. The gospel indicates to us, however, that we should be loving toward even those with whom we disagree. The church must model this for society. Disputes happen in local churches everywhere, but thankfully, they don’t usually make the news. My prayer is that we who are disciples of Jesus will strive, daily, to allow for freedom of expression, even when that expression doesn’t concur with our understanding of truth. After all, Jesus said, “You have heard that the law says, ‘Love your neighbour and hate your enemy.’ But I say, love your enemies! Pray for those who persecute you! In that way, you will be acting as true children of your Father in heaven” (Matthew 5.43-45a, NLT). I asked people to read, in preparation for this message, the seventeenth chapter of the gospel of Mark. Several keeners remarked to me, through the course of the week, that they could not find a seventeenth chapter. I congratulated them for looking it up, and told them to keep my little secret until I preached this message. There is, of course, no Mark 17, but there is a James 3.1-12, and that’s what this message – on the ninth commandment – is about. “You must not bear false witness against your neighbour” – seems easy enough, but most of us aren’t very good at it! Listen to the message here to learn more. This Sunday marks the tenth anniversary of the events that changed the world forever on September 11, 2001. Like many of you, I remember where I was and what I was doing when I first heard news of the airplanes crashing into buildings in the eastern United States. Without a doubt, 9/11 made an indelible impression on the world. I remember wondering aloud in my message the following Sunday why Palestinian children would cheer at the incredible loss of life halfway around the world, in a country they had never visited, populated by people they had never met. Clearly, something was wrong with the world. Indeed, there was. And is. Though there are artificial and political lines that divide east from west, north from south, we are one “global village”. We were in 2001, and if anything, the world is even more so described as such today. People around the world felt America’s pain then, and perhaps to a lesser degree, we feel it now. The politics that ensued brought about life-changing, and life-taking, events: the war on terror, the conflict in Afghanistan, the relentless pursuit of Saddam Hussein and Osama Bin Laden, among others. Whether those undertakings were/are right or wrong is not for me to discern. But I was struck by the comments of William Willimon this past week. The worst day in history, when Jesus was nailed to a cross, was also the most life-changing day in history. It made all the difference in the world. Jesus came to save us from our sins and to give us eternal life, yes, and he also came to model for us what kingdom living can and should be like. None of us in this world has lived up to what Jesus modelled for us in those thirty-three brief years. Indeed, if we had, neither 9/11 nor the ensuing conflicts would have happened. But it’s not too late. September 11, 2001 changed the world, yes, but you and I can change the world still. And we can change it for the better. Will we? Will we vow to live as Jesus called us to live, and make the world a different – and better – place, today? Tomorrow? All who name Jesus as Lord have the Holy Spirit living within us, to empower us to be different people, to be kingdom people. That same Holy Spirit living within us empowers us to call others to be people of the kingdom, people of the Way. “God blesses those who work for peace, for they will be called the children of God” (Jesus, Matthew 5.9, NLT).